In a recent report Singapore was named the most Muslim Friendly country and it is definitely a country in my radar for a trip in 2016 insha’Allah (God willing). 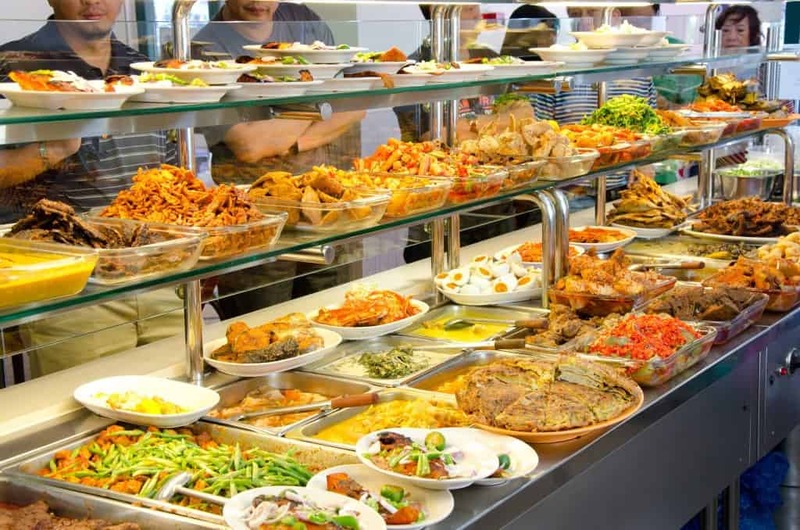 So I thought I will ask the experts of halal food in Singapore, the team from Have Halal Will Travel to share their top 5 Halal restaurants in Singapore. Seriously these are mouth-watering and I cannot wait to visit soon and try them out. Hello readers of Muslim Travel Girl! We’re guest posting from Have Halal, Will Travel Our team is based in Singapore – aka FOOD PARADISE and also named the friendliest destination for Muslim travellers among non-Muslim countries. 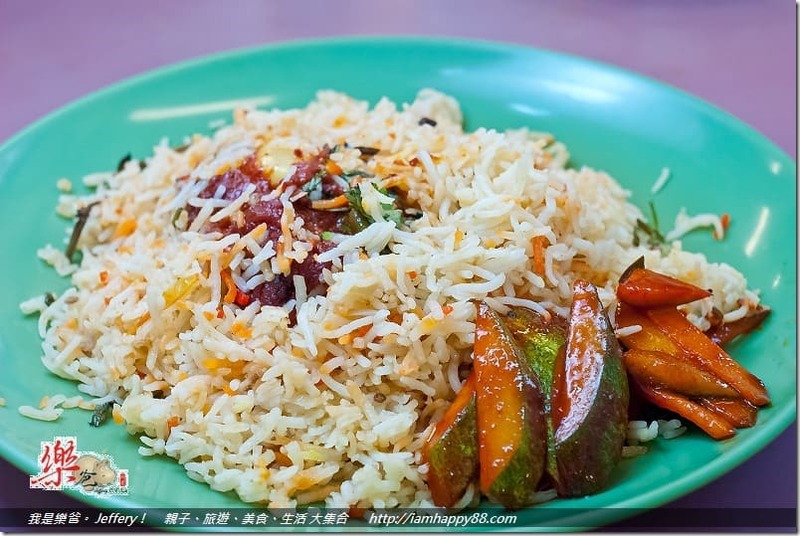 Here’s a list of our 5 favourite Halal Food Places in Singapore! 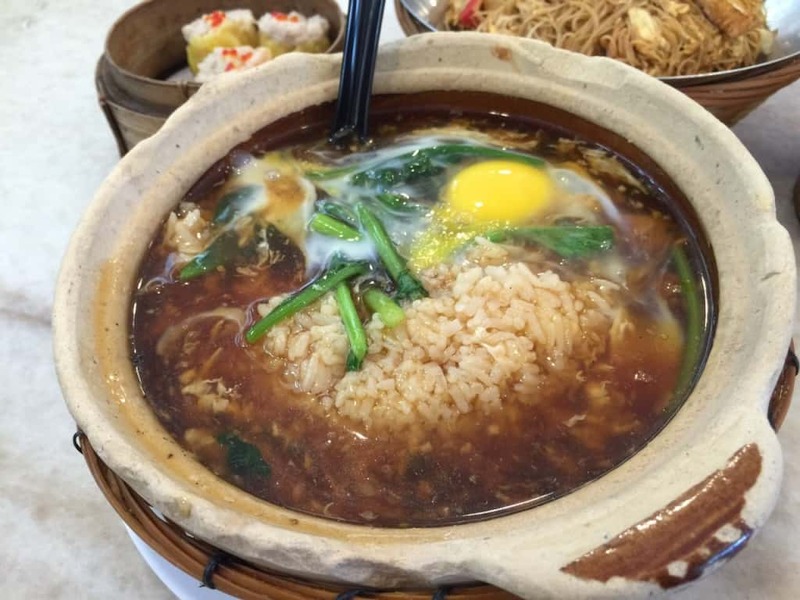 What’s a trip to Singapore without trying local favourites? 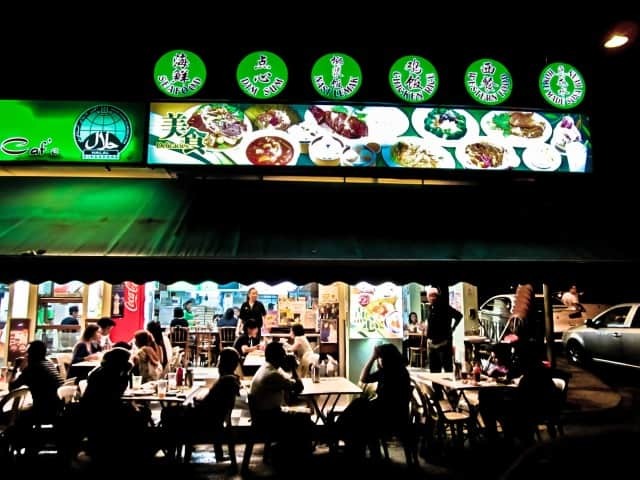 We highly recommend trying the fried bee hoon, hor fun and everyone’s favourite – chicken rice! 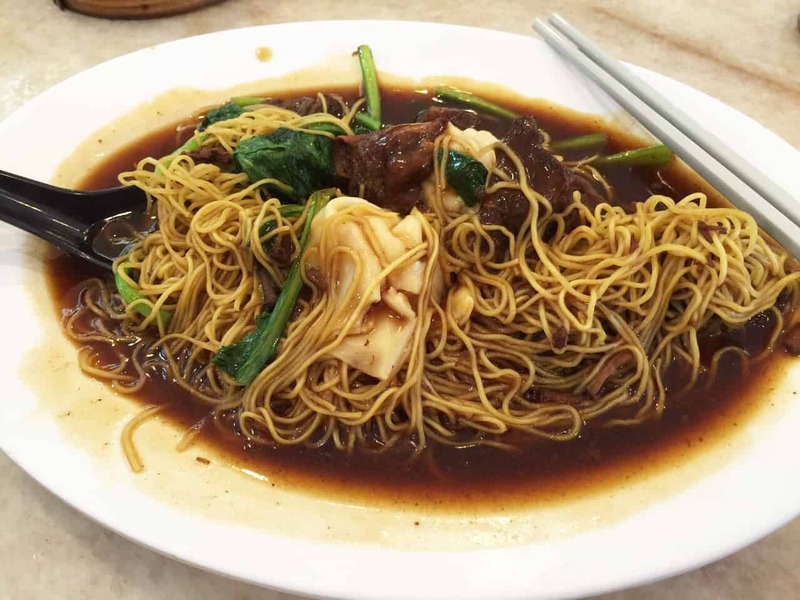 Another dish that’s really popular at Tang Tea House is the sinful but oh-so- yummy Pan Fried Crispy Bee Hoon. If you’re ever in doubt, look out for the chef’s recommendations in the menu! 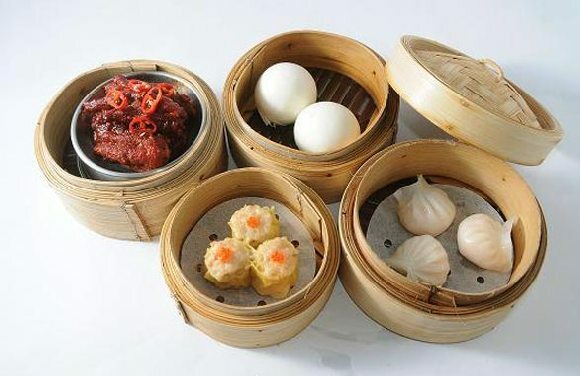 Tang Tea House is also well-known for the authenticity and freshness of its halal dim sum, ranging from Shanghai steamed dumplings, Siew Mai, Har Kow and their famous Golden Sand Pau (Liu Sha Pau)! The dim sum is made fresh daily too! 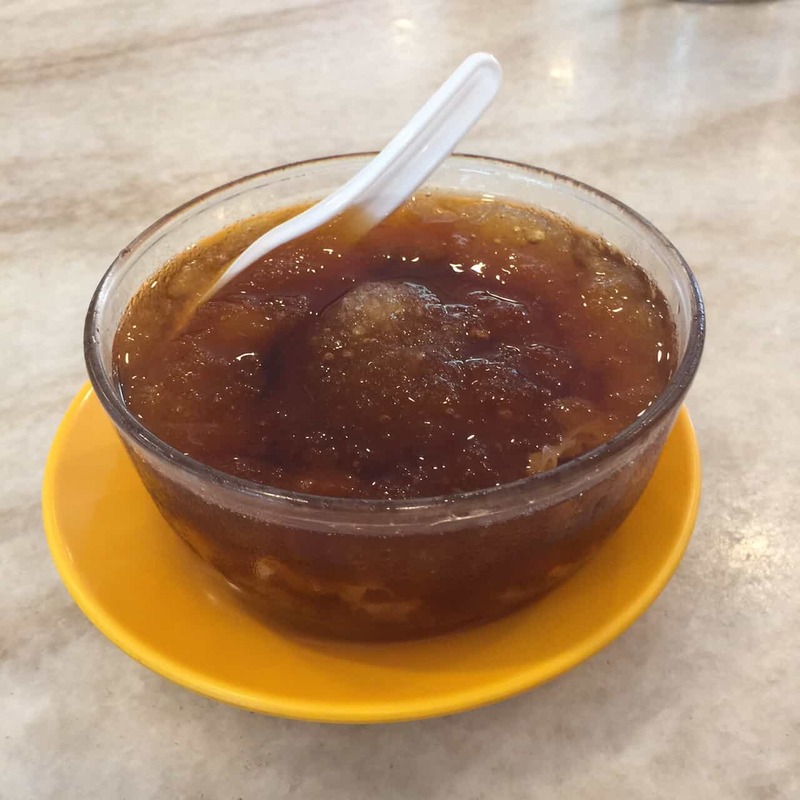 Do end your meal with one of our local desserts – Cheng Tng, a sweet dish which can be enjoyed chilled or warm! 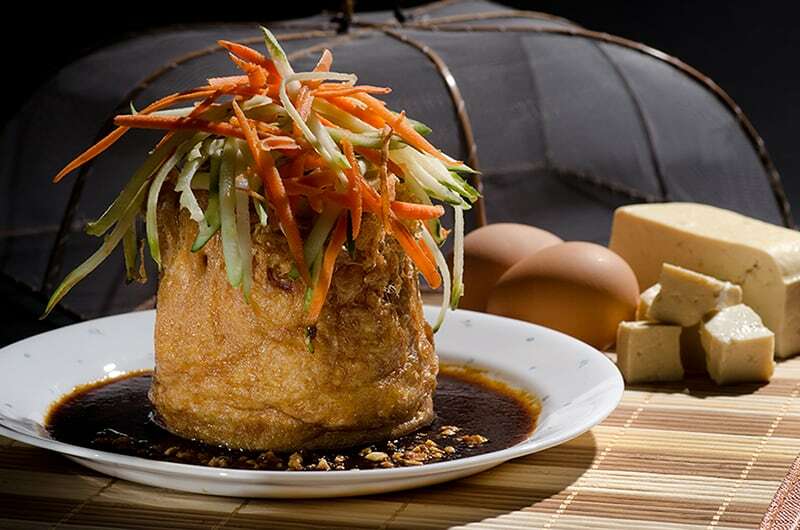 #HHWT Tip: If you’re trying Zi Char, it’s best to go with a larger group of people as these dishes are usually shared! If you’re up for a hearty meal, J’s is the place to dine at! 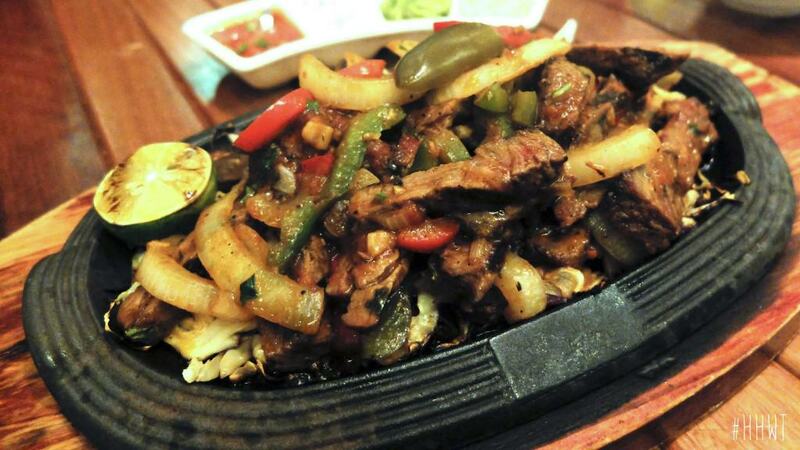 The restaurant focuses on Latin American cuisine with a slight local touch and also provides vegetarian options. Everything at J’s is made from scratch including their tacos and different sauces served with each dish. As mentioned by Suraj (one of the owners of the restaurant), “the only thing that’s not homemade is the tomatoes and chili sauce”! Trust us when we say that you CAN taste the difference! For starters, we highly recommend trying the Chef’s Salad, Chipotle Meatballs (Braised beef meatballs in spicy chipotle & tomato sauce with crispy corn tortillas), Poppers (Breaded “Jalapeno” peppers stuffed with mozzarella) and Scrambled Eggs With Salmon (Sounds too simple? Trust us, it was soooo good!). Moving on to the mains, we love J’s Quesadillas (Tortilla with chicken cheese, onions, green peppers & guacamole), Fajitas (Grilled beef, sautéed onions, bell peppers with warm tortillas) and Braised Lamb Shank. 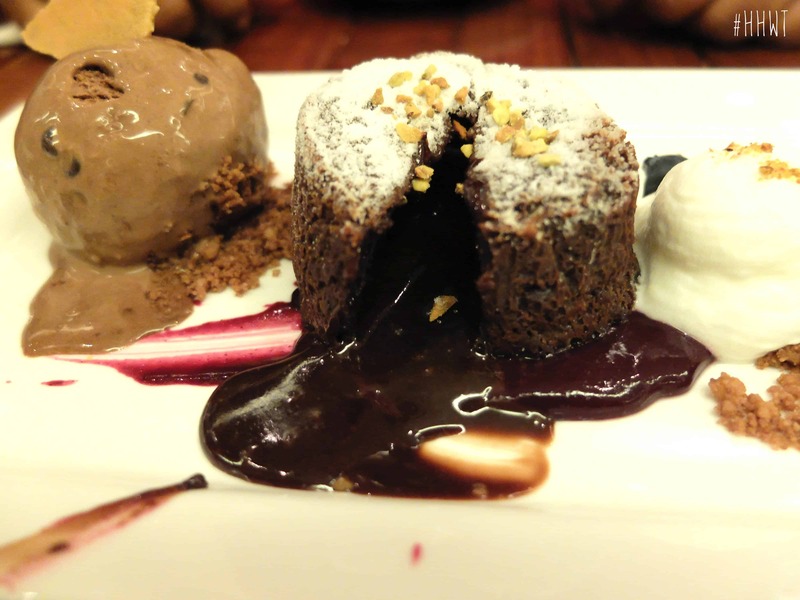 Of course being dessert lovers, we think you should definitely end your meal on a sweet note 😛 Let us tempt you with J’s Churros with Bananas & Mangoes and Bocas Negras (chocolate lava cake)! #HHWT Tip: Visit J’s with your travelling party as their food is best enjoyed with a larger group of people! 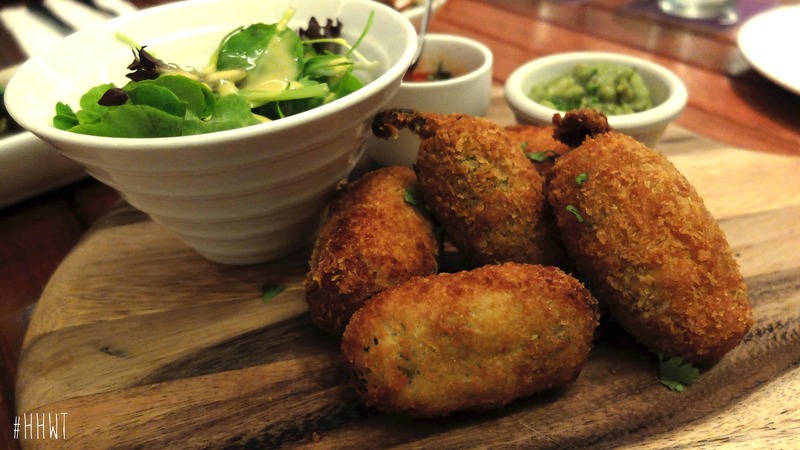 Instead of ordering a dish each, you can order some of your favourites to share. That way you can try more food too! 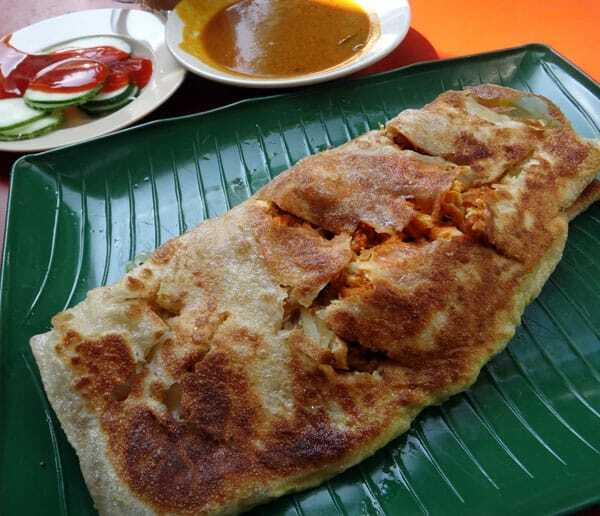 Want to try the most popular murtabak* in Singapore? 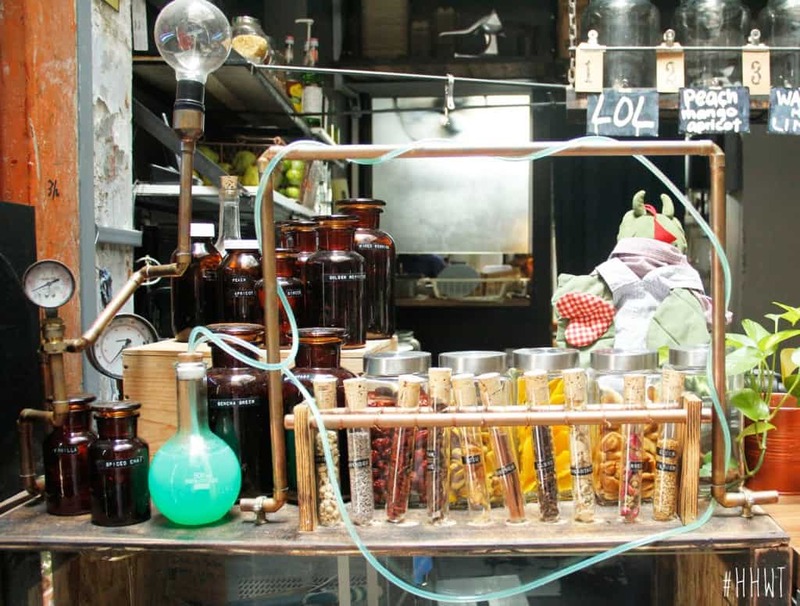 Hop over to century-old stall, Zam Zam! 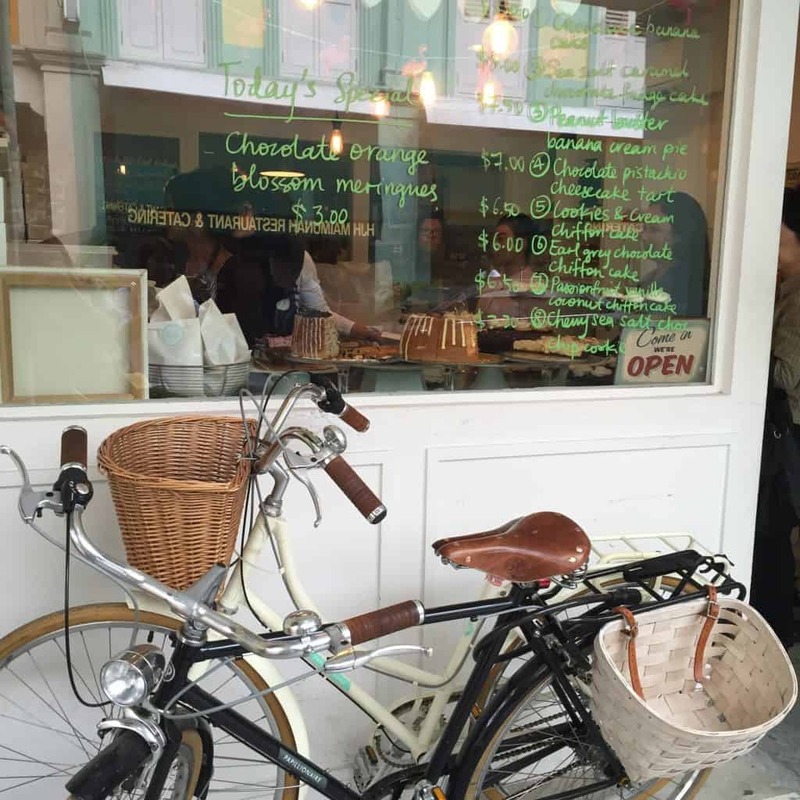 Conveniently located at North Bridge Road, it’s the perfect place to stop for a (big) bite after checking out the sights in the area. *Murtabak – fried dough stuffed with chicken, mutton or beef with onions and egg, served with a bowl of mouthwatering curry. Think roti prata with a punch. If you’re already a fan of murtabak, it gets better at Zam Zam. 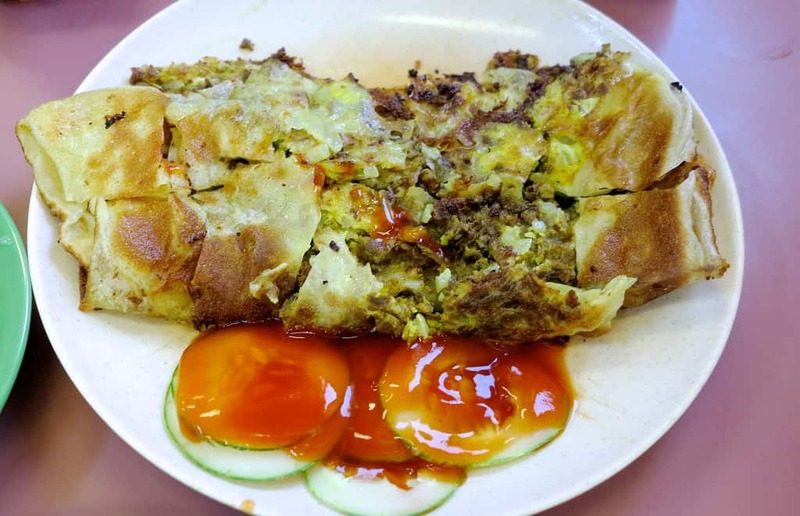 Their mutton murtabak is served with an extra layer of fried plain prata at the bottom and an egg with minced mutton on top. 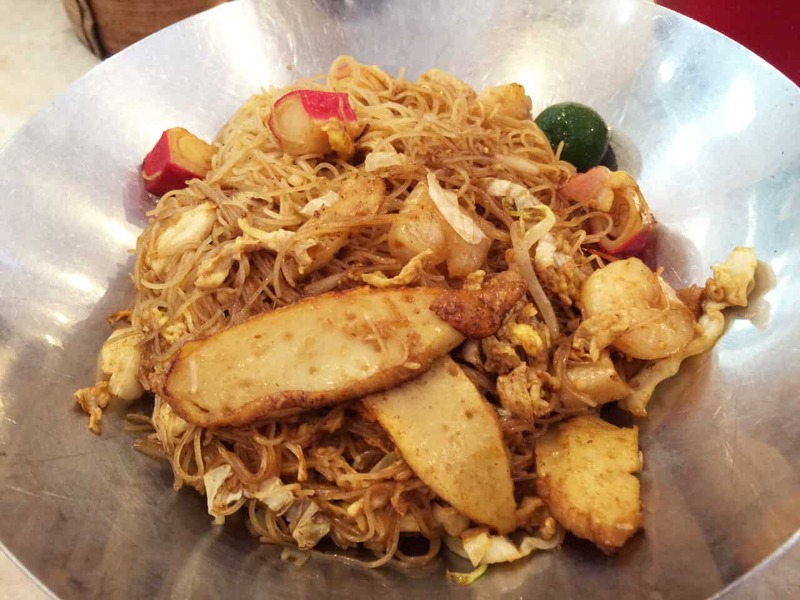 Apart from their impressive murtabaks, Zam Zam also serves other dishes such as Roti Prata, Mee Goreng, Biryani, Fish and Chicken Curry and more! Get a murtabak and nasi briyani with a cup of iced teh tarik and it’s hello food coma! #HHWT Tip: Arrive with a hungry stomach and preferably 2 or more people because you’ll want to try more than just their famous murtabak! A café inspired by Breaking Bad? Count us in. 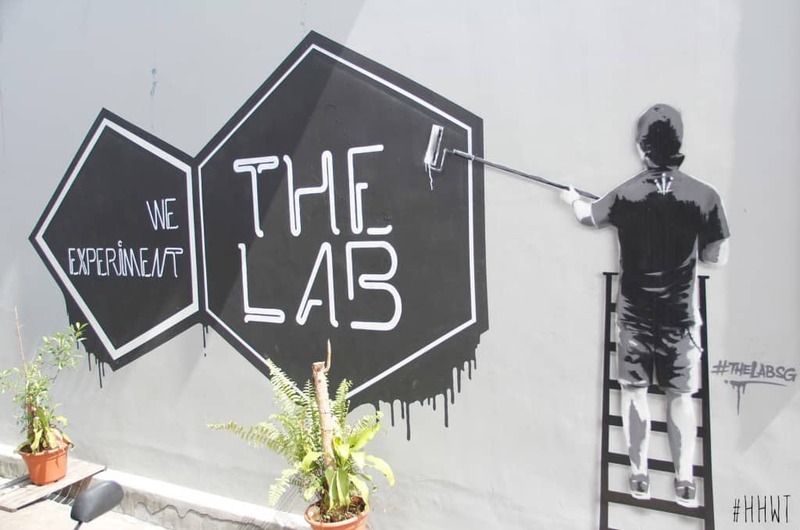 The concept of The Lab is as its name suggests. Think scientific laboratory where experiments are constantly carried out because that’s what it’s like in the café! 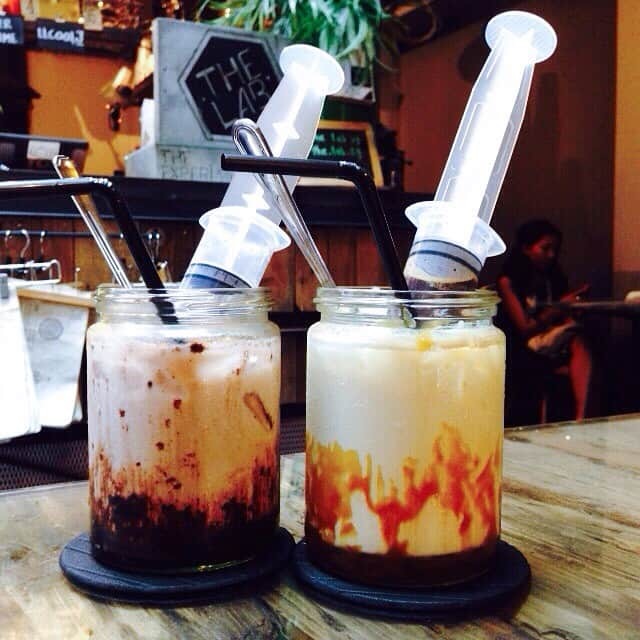 Experimentation is reflected not just in the décor of the café but also incorporated in their food and drinks. The ‘scientists’ at The Lab are constantly inventing and the result? Amazing fusion dishes such as Terefrank Buffalo Wings with Blue Cheese Dip/Lychee Sweet Chilli and drinks like the Yam Latte and Heisenburg Sparkler (served with Blue Curaco syrup, alcohol free)! And of course, you can’t pay a visit to The Lab and not try the burger inspired by its namesake, the Heisenburger. 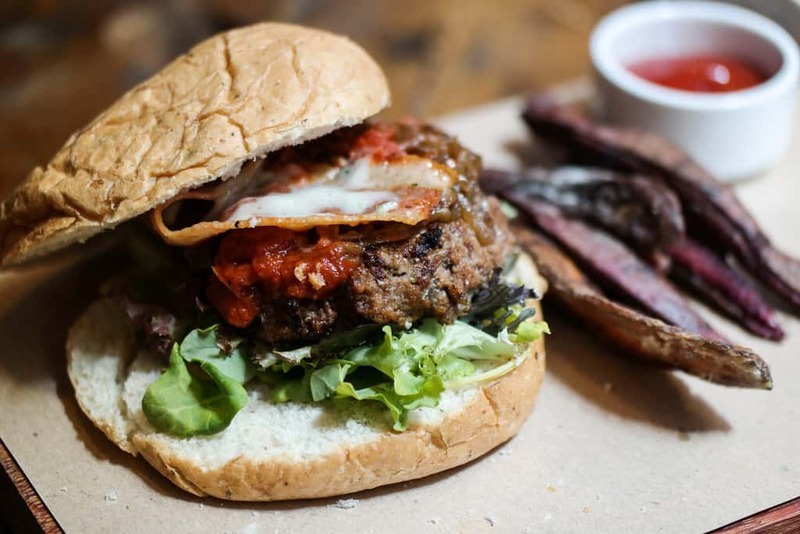 With a homemade tender beef patty, bacon, blue cheese, garlic mayo and served with sweet potato fries, it’s really not hard to see why the Heisenburger is The Lab’s signature dish! #HHWT Tip – You may want to visit The Lab slightly before the café opens as there tends to be a queue. Don’t leave Singapore without trying kampung styled traditional Malay and Indonesian food at Hajah Maimunah (also known as Hjh Maimunah)! You’ll be spoilt for choice the moment you step into the restaurant. Some of the dishes include Beef Rendang (braised beef), Sambal Belachan (chilli and shrimp paste), Ayam Bakar Padang (grilled chicken), Tahu Telor (deep-fried beancurd) and Ikan Bakar (grilled fish). If that’s not enough for you, you can polish off your meal by trying traditional desserts such as Kueh Lapis (layered cake) and Odeh Odeh (a Pandan dessert filled with palm sugar)! #HHWT Tip: Again, this is another eatery where it’s better and more affordable to visit with a group as you get to try more dishes! After trying all these amazing food places in Singapore, it’s time to satisfy your sweet tooth with desserts! 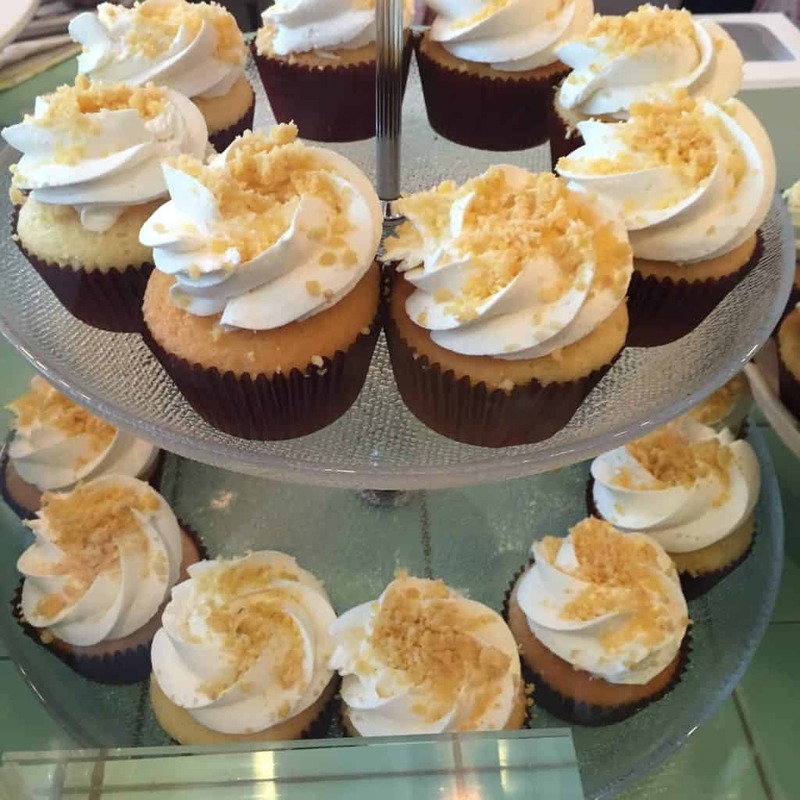 And there’s no better place to do that than at the immensely popular halal cupcake store in Singapore – Fluff Bakery. 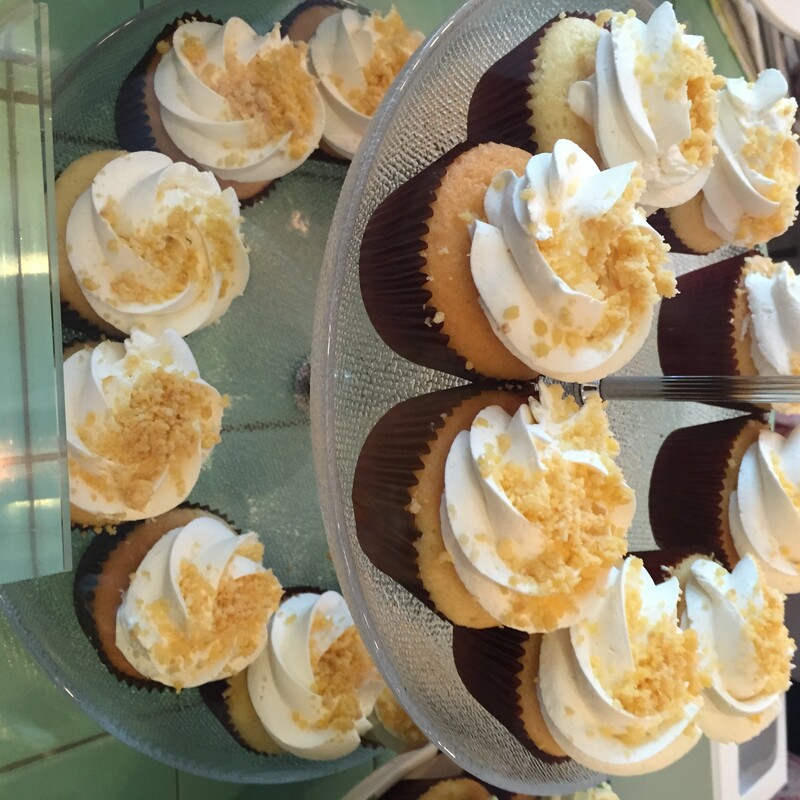 Our newest favourite has got to be the cupcake with a local twist – Salted Egg Yolk Custard Bun Cupcakes. Yep, that’s Fluff’s take on Singaporean’s Salted Egg craze! Of course, they also have classic favourites such as Nutella Red Velvet and Salted Caramel! P.S. 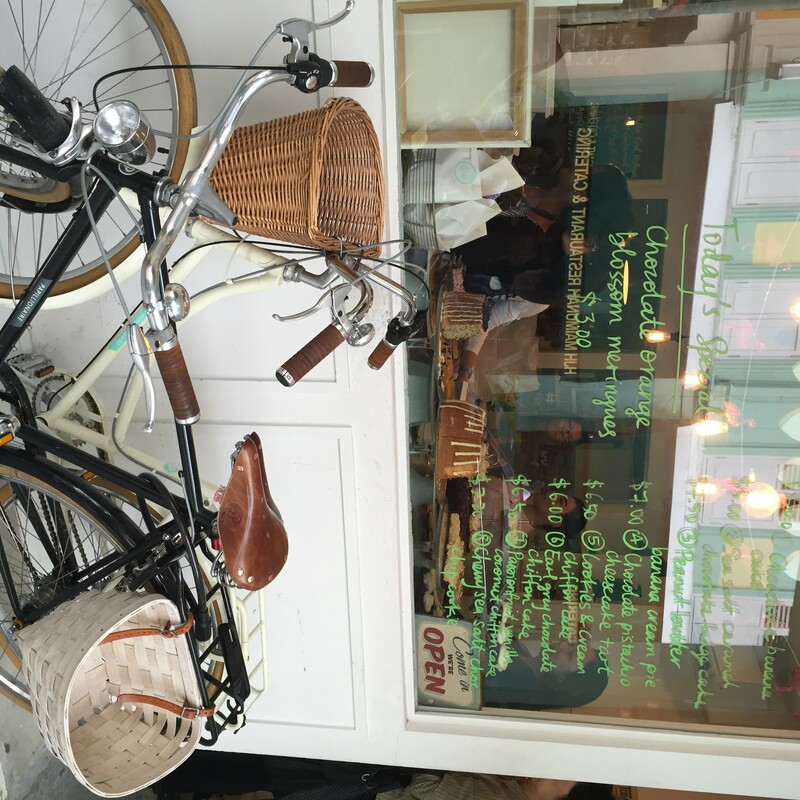 Fluff Bakery is a short walk away from The Lab Café! #HHWT Tip: Fluff Bakery changes their cupcake and cake menu every week. The desserts are sold out before 7pm as well, so do check them out on Instagram (@fluffbakery) before heading down! Opening Hours: Tues to Sat, 12noon till 7pm or when bakes sell out. This is a great post! 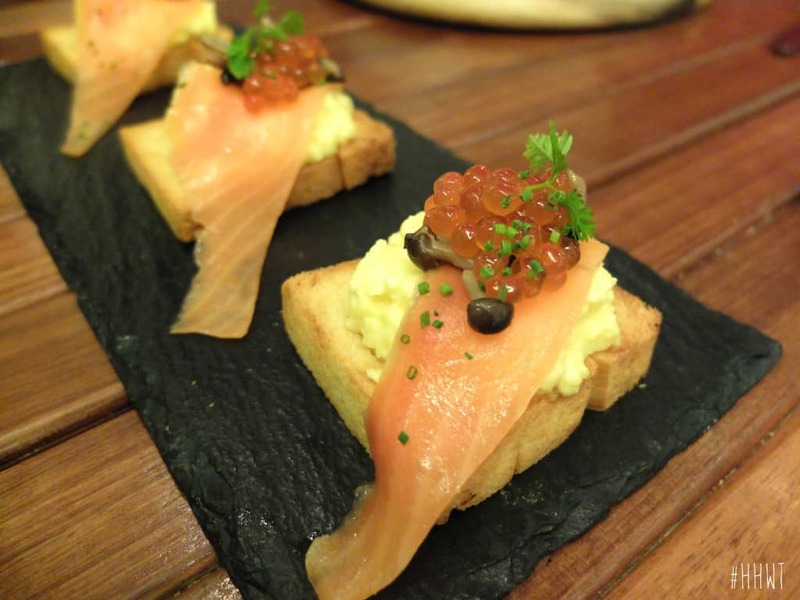 Looking forward to try these places out on my next trip to Singapore!